Both New Zealand and South Korea have cut interest rates by a quarter percentage point. But while Governor Graeme Wheeler reacted to just six months of sluggish prices, Korean inflation has been below target for three years. Timidity has been the central bank’s biggest failure. Bank of Korea cut its benchmark seven-day repurchase rate to 1.5 percent on June 11, the fourth reduction since August last year. The quarter percentage-point cut came after Korean exports fell 10.9 percent from a year earlier in May and an outbreak of Middle East Respiratory Syndrome (MERS) threatened to curb domestic economic activity. Nine people have died since the virus was first reported in South Korea in late May. Separately, the Reserve Bank of New Zealand reduced its official cash rate by a quarter percentage point to 3.25 percent. “Weaker prospects for dairy prices and the recent rises in petrol prices will slow income and demand growth and increase the risk that the return of inflation to the mid-point would be delayed,” Governor Graeme Wheeler said in a statement. The RBNZ has an inflation target of 1 to 3 percent. Consumer prices, which were rising at a rate of 1 percent in the third quarter of last year, have only increased at a year-on-year rate of 0.1 percent in three months that ended in March. 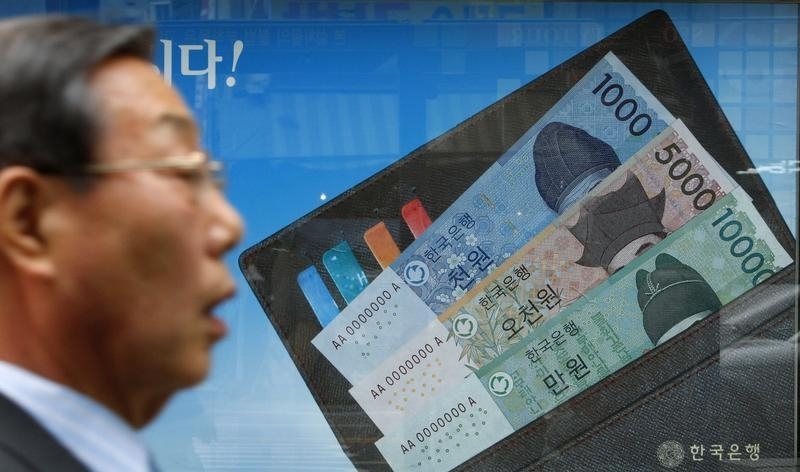 Bank of Korea targets inflation in the range of 2.5 to 3.5 percent. In May, prices rose 0.5 percent from a year earlier.